No other area in the U.S. can claim the rich cultural heritage, the abundance of circus families and the home base of as many circuses as Sarasota, Florida and surrounding communities. As a hub of circus activity for more than three-quarters of a century, Sarasota has earned its rightful title of "Home of the American Circus." 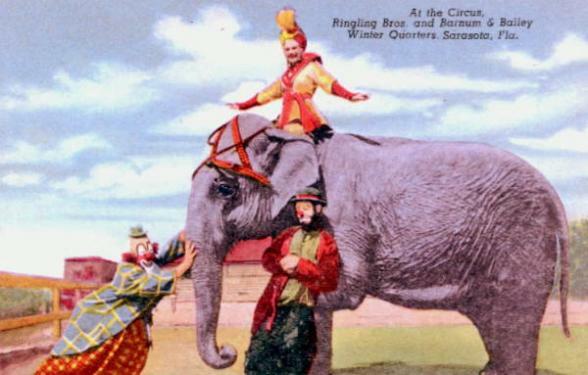 When the Ringling Bros. and Barnum & Bailey Circus moved its winter quarters to Sarasota in 1927, the serene seaside resort became a ring of circus activity, attracting famous circus families and artists from around the world, as well as thousands of tourists to its famed winter quarters. Sarasota quickly became known far and wide as Circus City, USA. 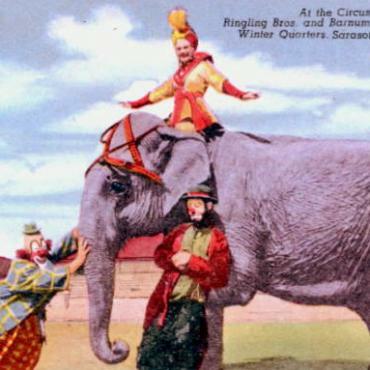 In 1960, Ringling moved its winter quarters 25 miles south of the city of Sarasota and the impact of the circus expanded into the larger Sarasota County area. John and Charles Ringling, two of the five original Ringling brothers, wielded incredible influence on the economy, development and culture of Sarasota Bay which is still evident today.